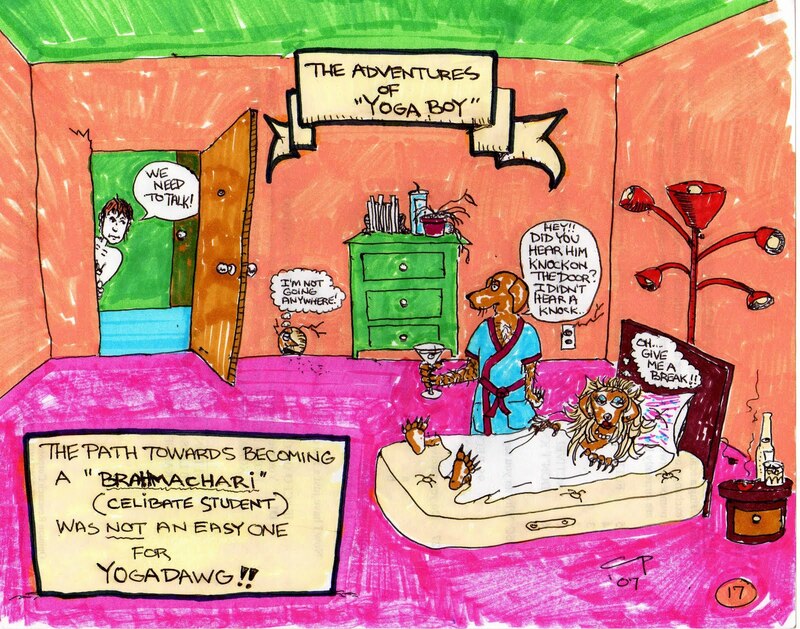 An ongoing series of toons by the mighty Chris Panico, an awesome cartoonist and yogi. Is there a YogaDawg there? I received this email and thought how freaking cool is this. 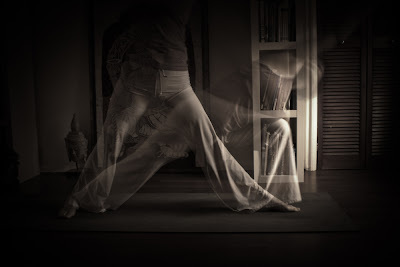 Yoga and art. Didn't do any research on this but you might want to check your local art museums to see if there is any yoga going on there. Please post a comment if you know of any yoga classes in an art museum not mentioned in this email. “Have you ever dreamt of practicing yoga next to a Picasso?” says the announcement of “Yoga with the Masters” course offered at Cincinnati Art Museum in Ohio (USA). 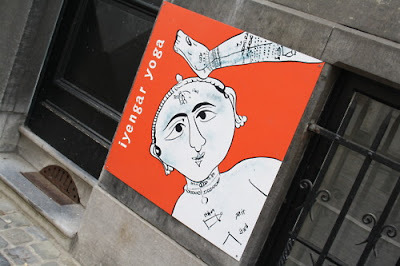 Now one can enjoy ancient discipline of yoga surrounded by beautiful art in art galleries of well known museums of USA. Welcoming the America’s museums’ move to offer yoga classes, Hindu statesman Rajan Zed, in a statement in Nevada (USA) today, said that although introduced and nourished by Hinduism, yoga was a world heritage and liberation powerhouse to be utilized by all. Zed urged other museums around the world to also offer yoga classes so that one could explore the two powerful mediums at the same moment. The Dali Museum in Saint Petersburg (Florida) offers yoga on Sundays in “a remarkable environment where Dali's energy infuses the physical, mental and spiritual inspiration of yoga”. 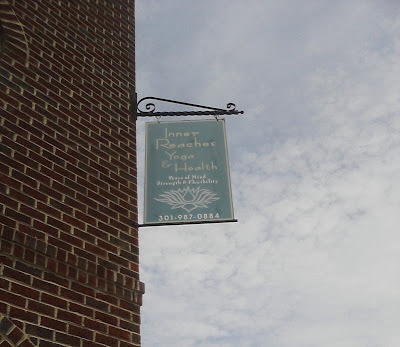 The Noyes Museum of Art in Oceanville (New Jersey) gives “No Sweat Yoga” classes. San Francisco’s Asian Art Museum points out: “Get centered with Yoga Flow…as you move your body into positions inspired by sculptures in the museum collection”. 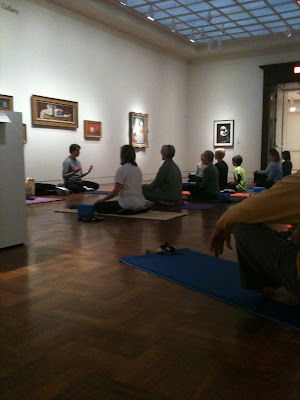 Cameron Art Museum in Wilmington (North Carolina) offers yoga exercises for “relaxation, breath control and meditation”. Brooklyn Museum in New York recently offered two-hour yoga workshops in one of the Museum’s most beautiful spaces—the fifth-floor Cantor Rotunda. 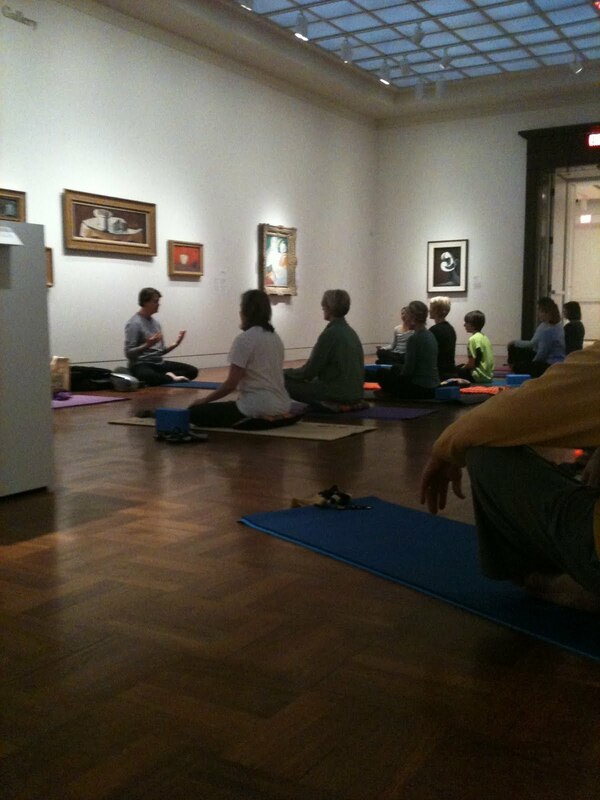 Tampa Museum of Art in Florida has been offering “Inspire Yoga”. Louisiana State Museum in New Orleans gives yoga class “in a light-filled gallery of one of the city's most beautiful and historic buildings”. Baltimore Museum of Art in Maryland offers “Yoga in the Sculpture Garden”. Ashville Art Museum in North Carolina has been highlighting “balance, relaxation and art” with the yoga instruction it offered. 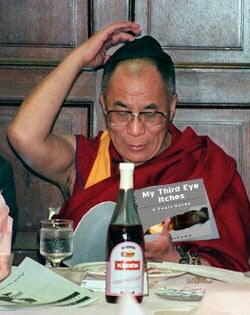 I featured Michael Stusser in the past because when I started My Third Eye Itches, there were only a couple of people doing yoga humor. It's funny to see new yoga bloggers trying to attempt this but I always think how great Michael's writing really was considering so few were doing this. Here is his latest piece as he explains, "My new article is about attempting to Speak (and Tweet) No Evil for an entire month during my divorce - no lies, gossip, foul-language or terrible tweeting of any kind...In attempting to do so, I recruit a team of advisors including my wise and wonderful yoga teacher." WASHINGTON – In response to complaints from an ever growing legion of yogis, new guidance from the Occupational Safety and Health Administration (OSHA) will help yogis select and understand the appropriate yoga teachers when taking a yoga class. 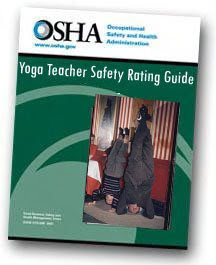 The documenty Yoga Teacher Safety Rating Guide, was released today by the agency. 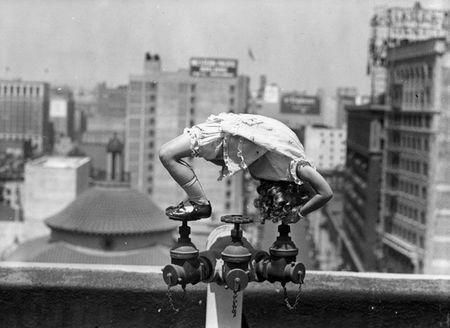 "This guidance document will aid Yogis in the safe selection of a yoga teacher." 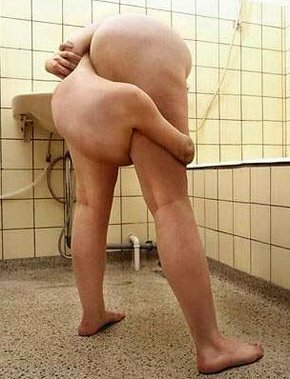 said Assistant Secretary of Labor for OSHA, Edwin G. Foulke, Jr.
Improper selection of yoga teachers can result in pose failure, misalignment or slippage, which in turn can lead to injuries or death. OSHA accident data for the years 2009 through 2013 show that there were numerous injuries in yoga studios involving yoga instruction. As someone who suspects knee injury due to yoga and hearing about hip injuries among long time practitioner of yoga, this article was of interest to me. 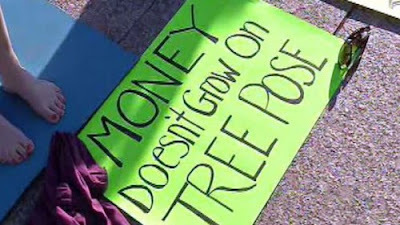 I think this one of the better articles on yoga because it show both sides of the yoga coin. 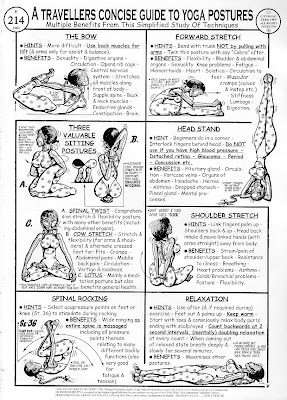 Being around the yoga scene over a period of time, I've heard stories about yoga injuries but rarely seen things in print. "There has been no serious attempt made to study the rate of injuries amongst Ashtanga practitioners – there do seem to be a number of sensitive shoulders and sore backs. And those knee operations that are held up almost like badges of battle honours, the long-term practitioners who experience degrees of discomfort in their bodies. But it has to be noted that this applies to other yoga styles – two teachers (one teaching since 1985 and the other from the early 1990s) told me that as much as there are knee issues with Ashtanga practitioners, there are hip issues with Iyengar practitioners. Both of these teachers trained and taught within the Iyengar tradition before branching out." "There is anecdotal evidence of long-term intense yoga practice wearing out joints – though it could be said that so does life. 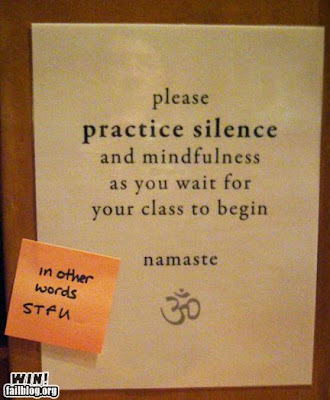 If it’s all about sitting in padmasana surely something has gone wrong somewhere? 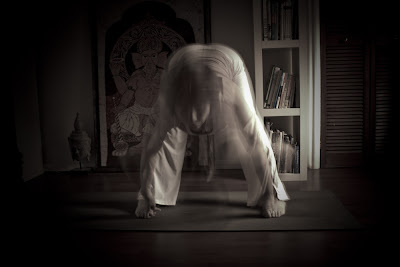 And it’s not just about sitting in padmasana – in Ashtanga it’s sitting in padmasana always leading with the right foot. 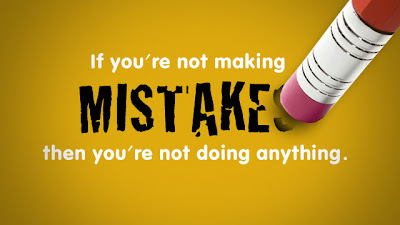 This might have been one of the straws that broke the camel’s back for a third series practitioner – she simply said “I got fed up with putting the right foot in first”. "Yet I know several people who have experienced significant healing from conditions such as cancer or chronic fatigue thanks to their Ashtanga practice. There are many examples of sick people getting better because of Ashtanga – practice definitely has the potential to be healing. One reason is that this strong stretching of the physical body can be highly therapeutic as there is releasing of held tension and a breaking down of emotional tightness. It is unquestionable that Ashtanga can be healing: but this does not mean that we cannot question the how of practice and encourage a wider perspective beyond physical postures. 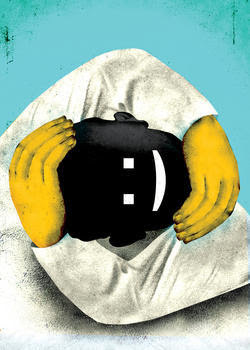 Also an interesting article, "When Yoga Hurts", on the subject from the New York Times The comments here are insightful. Monkey steals camera. 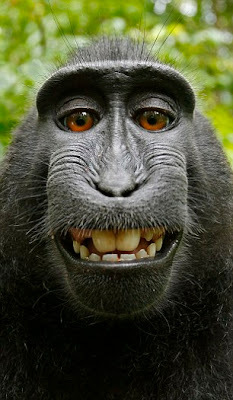 Photographs himself. 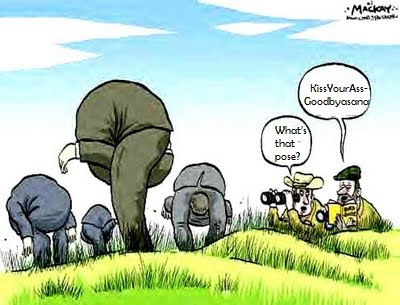 Ha ha ha, if only he photographed himself doing some down dogs...now that would really be funny! "Experts agree there are psychological benefits to naked yoga, but not physical ones. "If you're wearing loose clothing or spandex, there's nothing to stop you from doing all the postures or stretches or movements in yoga with the proper clothes," Konefal said. "The sense of freedom is not a physical, it’s a psychological." 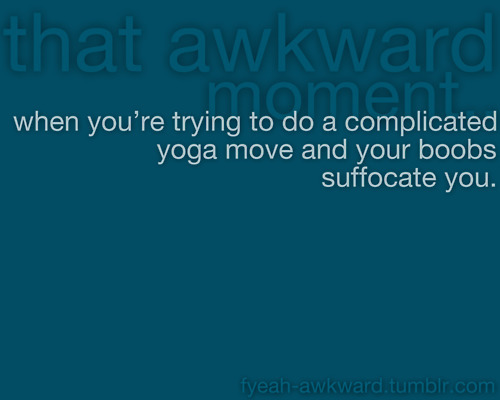 "And the practice may present a potential health hazard if the yoga studio supplies mats other people have used. To avoid sanitization issues, you want to make sure to always use your own mat, Konefal said. 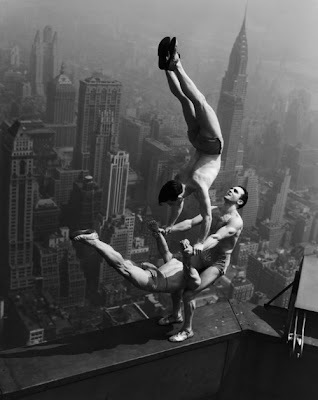 (Naked Yoga NYC requires that all participants bring their own mats)." "You don’t want to have a cut or nick and risk of infection," Konefal said. 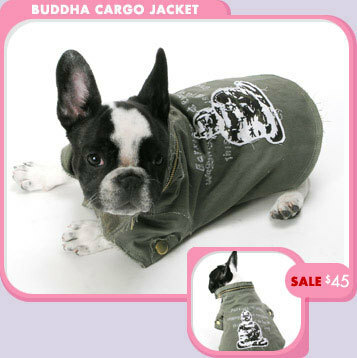 Once you order your Buddha Cargo Jacket then you can Feng Shui yourself. With the popularity and saturation of Yoga among the general public, Yoga teachers have become increasingly hard pressed to find new avenues of revenue derived from their Yoga practice. However, one enterprising Yogi found a way out of this dilemma. He has started to teach Yoga to cows. While this has raised some eyebrows in the straight-laced communities of Montana where he teaches his Yoga practice, many cattle ranchers swear by the benefits of it. "My cows are so much calmer now", explained Guy Gusterson, a rancher in Custer county, Montana. "They seem to moo less which is a great blessing to anyone who lives on a ranch. Those cows can drive you crazy with all that mooing", he continued. "I think Yoga makes them more circumspect", he added. YogaDawg, the brains behind Cow Yoga, claims his success comes from personally concentrating on each cow and telling them that they are doing a good job while at the same time letting them know if they need to improve a little bit here or there. YogaDawg is said to have a real personal touch with the cows. He realizes that each cow has their own skill level that they can work at and makes sure they never felt to be under pressure while learning Yoga. YogaDawg explained how he came up with the idea of Cow Yoga, "Well, it was during a Cow Face (Gomukhasana) pose that I was doing when it suddenly dawned on me how stressed some cows are. 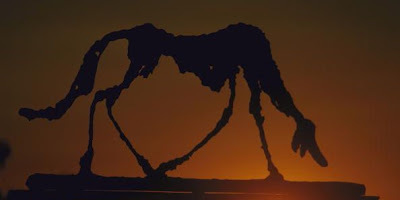 Between cow mutilations from illegal aliens (the exterterrestrial kind), cow tipping (bored farm boys in rural areas who sneak up on an upright sleeping cow and then push it over for amusement) and lonely cowboys, it was obvious that cows could benefit from Yoga just as much as people". When asked what the hardest part was about teaching cows Yoga was, he replied, "Asking them to stop chewing their cud during class". 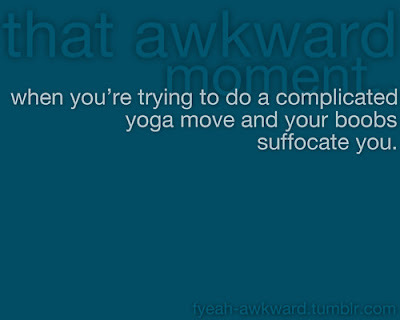 About a year and a half ago I stopped going to yoga classes due to variety of issues. I recently decided that I needed to get back among the yoga living again (those DVD are just not cutting it anymore). 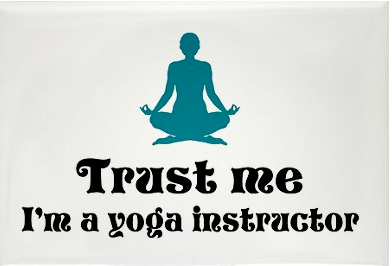 So I’m on the prowl again, dropping into yoga studios with the hope of finding the transcendental truth, blissful humor (and hopefully find the one person who can help my knee). 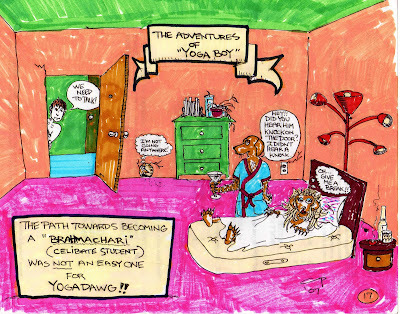 “YogaDawg on the Prowl” is a semi-regular photo record of my yoga wanderings. 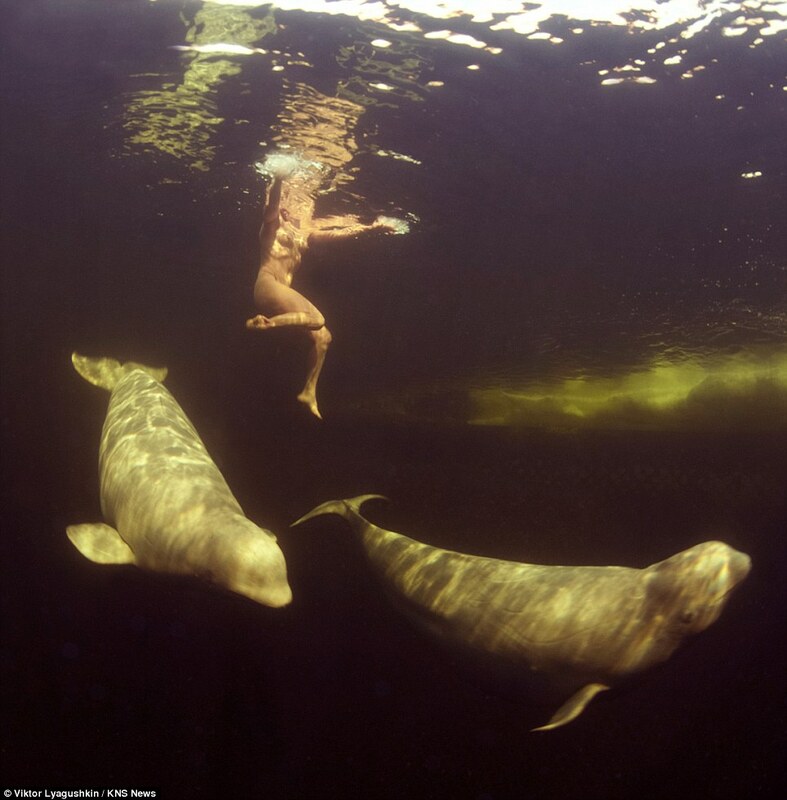 Good news, bad news here...the naked women is a yogi swimming in Arctic water, but she is doing it to whales heading for captivity...bummer...but nice visuals nonetheless. "The average human could die if left in sub-zero temperature sea water for just five minutes. However, Natalia is a yoga expert and used meditation techniques to hold her breath and stay under water for an incredible ten minutes and 40 seconds." 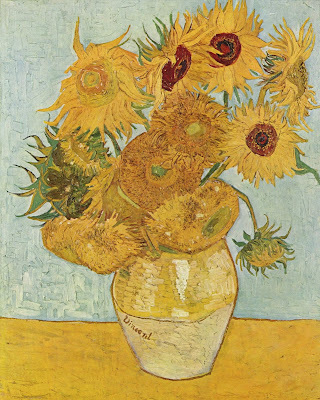 ...first sunflower of the year! Find out what kind of Yogi you are. 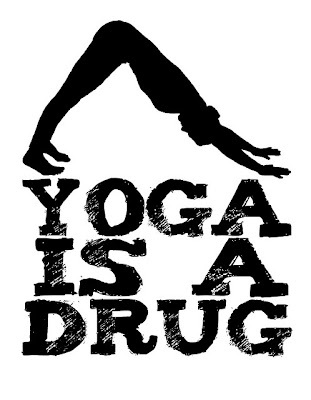 You might just be the Yoga freak that you read about and would explain why you are alienating the people around you. Click here for the quiz What Kind Of Yogi Are You?